First things first - I promised to announce the winner of Becky Striepe's 40 Days of Green Smoothies (Kindle, Amazon)! 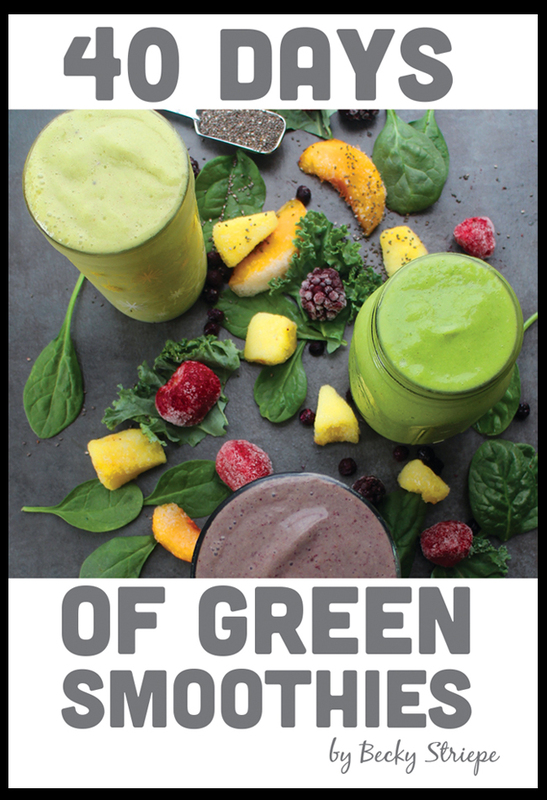 This is an amazing book that will help you on your way to forming the healthy and delicious habit of enjoying a green smoothie daily. Since posting the review last week I have treated myself to another week of this invigorating habit and I love it! The winner of the ebook 40 Days of Green Smoothies is: .... comment number 5 - Jennifer Bliss! Please contact me so I can get the book to you! Congratulations! 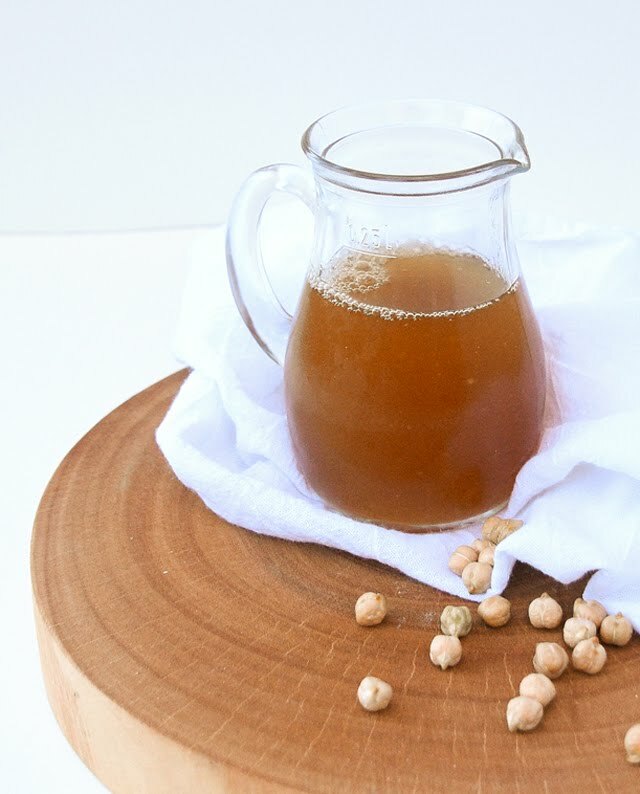 This new book by Kathy Hester is just what you need for your Instant Pot. 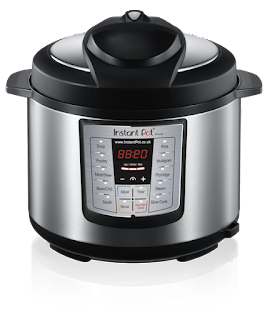 I have 2 Instant Pots myself, sitting on the kitchen island and in use almost everyday (and I even have one in the garage, in case one of the in-use ones breaks). I purchased them during Amazon's holiday sales, but if you don't have one, you might consider getting one now and not wait another 9 months. 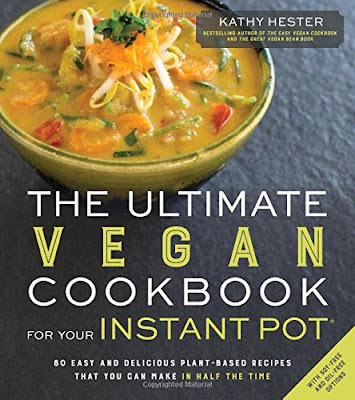 Kathy's book speaks directly to the Instant Pot users and the book is a wealth of information: The Ultimate Vegan Cookbook for Your Instant Pot (Amazon). 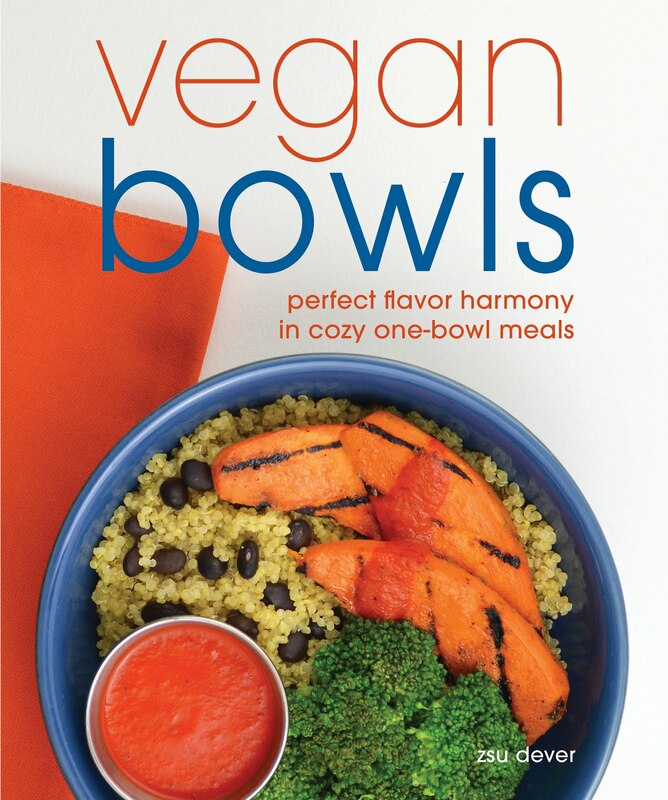 There are a lot of wonderful features of this book: each recipe has a full color photo! the book lays flat when open, Kathy's first chapter is Five Recipes to Start You Out, Kathy provides a chapter on Quick and Easy Homemade Staples, and even has a chapter devoted to Cook it All at the Same Time: Layered Meals with Sides that you can prepare in one cooker all at once. I have to say that I think that's my favorite chapter. Kathy even has a chapter devoted to Desserts. 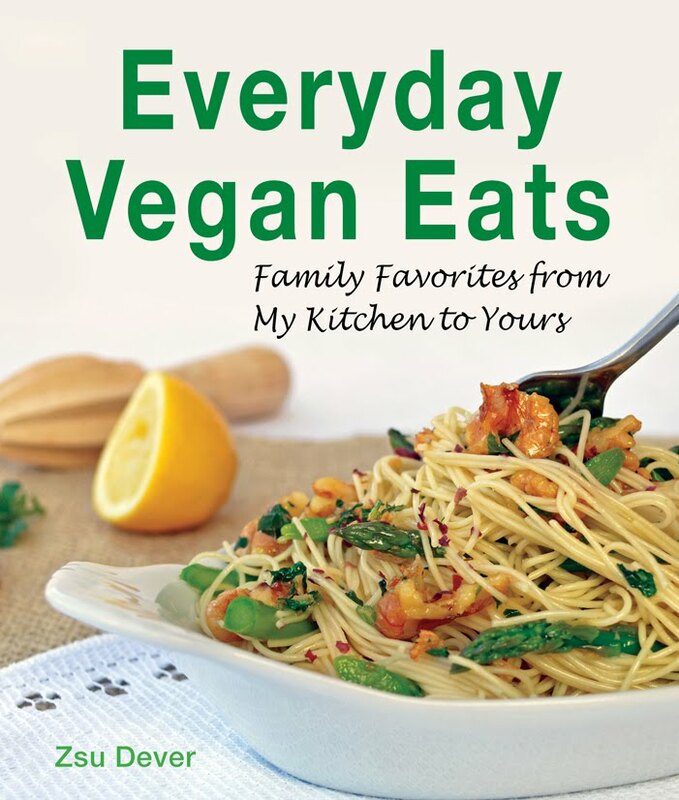 This book has Soy-free, Gluten-free and Oil-free options throughout and that should makes most everyone happy. Now for what I cooked! 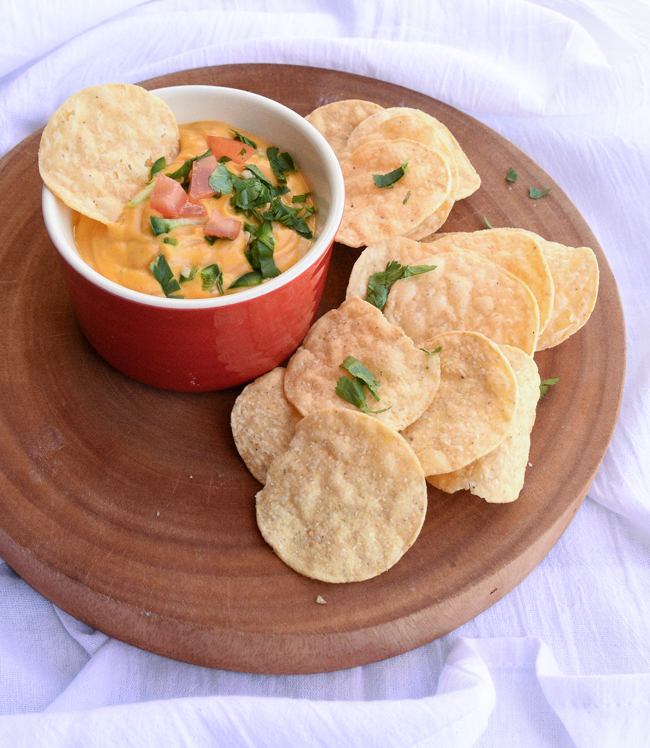 The first thing that caught my eye was Vegan Cauliflower Queso. I love cheese sauce and I am always looking to discover new ways to make cheese sauce with whole foods. Kathy's sauce was on point! Rich, thick and just what a cheese sauce should be. Then I tried the Southern Breakfast. This recipe is from the Cook It All at the Same Time chapter. 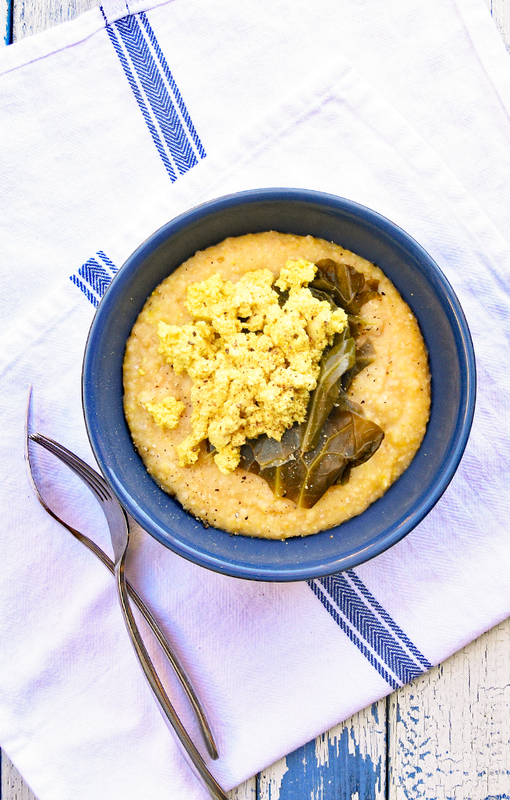 You cook the grits layer and the scrambled tofu layer (and then I added collard greens that I cooked with the rest of the layers) in the Instant Pot. There are tricks to cooking everything together, which Kathy shares in the book. This was an easy and delicious breakfast meal! 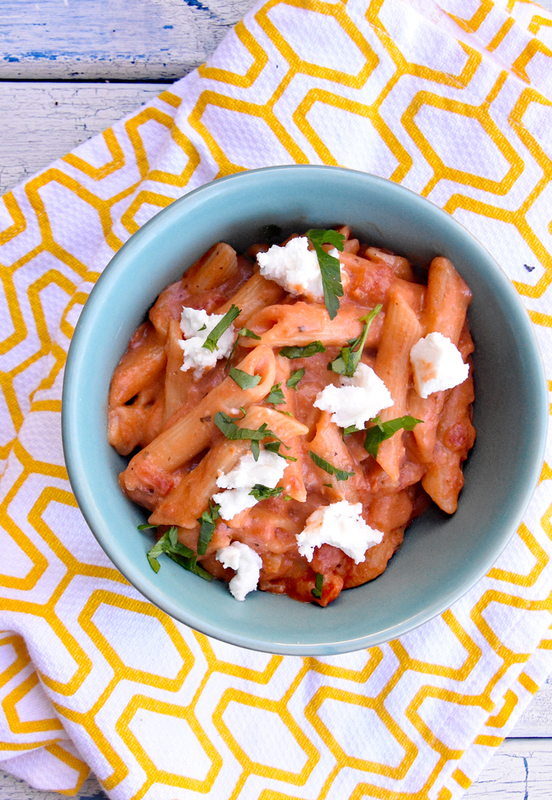 Next I tried a one-pot meal from the Fast and Comforting One-Pot Meals chapter: Ricotta Penne Pie. This was another delicious meal, but because I used Toffuti brand Ricotta it came out a bit too sweet. Kathy has a ricotta recipe in the book, one I should have taken the time to make! 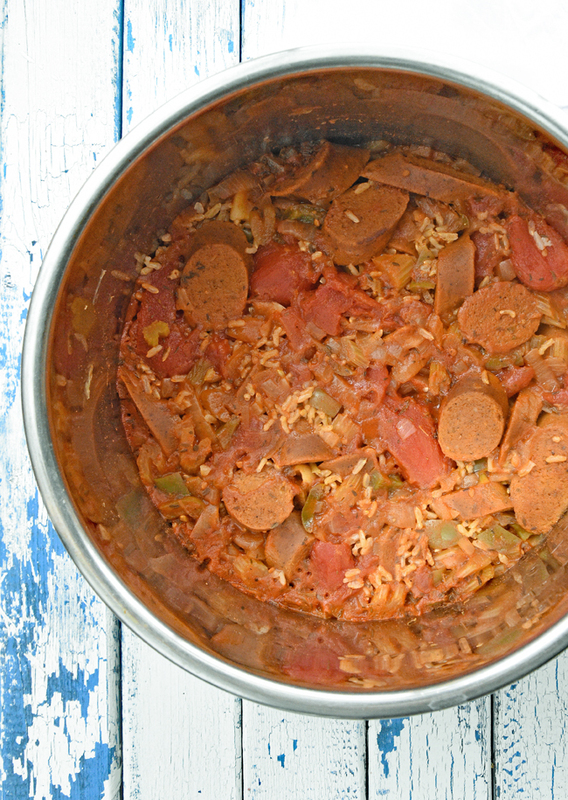 Finally, we tried the Easy Andouille Jambalaya from the Fast and Comforting One-Pot Meals chapter. This recipe uses vegan andouille links from the book (but, again, I used store-bought links because of time restriction). This was mighty delicious and it made plenty to last for a few meals. Now for a recipe for you to try! 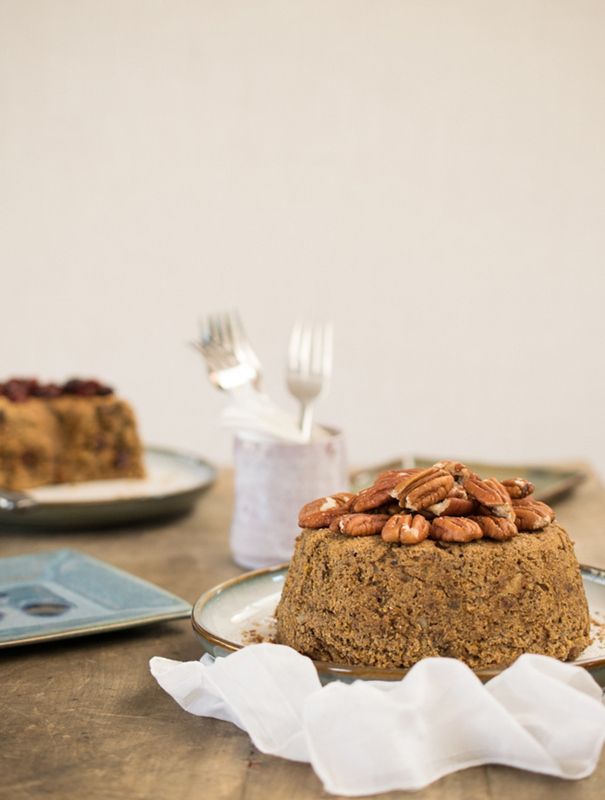 How about a healthy and delicious dessert? Kathy has graciously offered to share her Holiday Orange Spice Cake! The photo below was taken by Kathy, along with all the other gorgeous photos in the book! 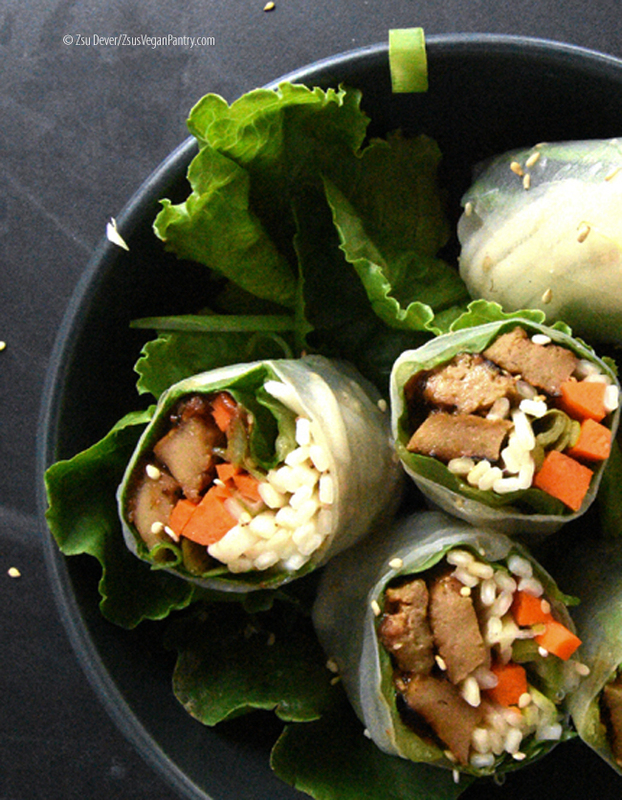 Recipe from The Ultimate Vegan Cookbook for Your Instant Pot by Kathy Hester. Printed with permission from Page Street Publishing. For the dry ingredients, mix the flour, cinnamon, allspice, baking soda and cloves in a medium-size mixing bowl. Woot! YAY! So exciting! 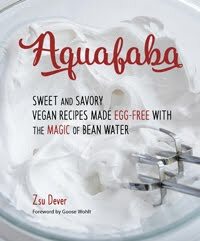 I will be emailing you shortly at zsu [at] zsusveganpantry [dot] com - thanks so much! What a wonderful Birthday Surprise!!!! Looking forward to it!!! Thanks so much! Happy Birthday, Jennifer! Congratulations! It is a truly wonderful book!